It’s about time we got an interesting value processor to review from Intel. I simulated one in our Clarkdale review, but today I’m bringing you a full review of the most interesting dual-core Westmere for the desktop - the Core i3 530. Priced at $113 (and selling for about $125 on the street) the 530 runs at 2.93GHz and features no turbo modes. It’ll run at 1.33GHz at its lowest frequency, and no faster than 2.93GHz at full load. The missing turbo boost is almost all you sacrifice as the 530 still has a hefty 4MB L3 cache shared between both cores. 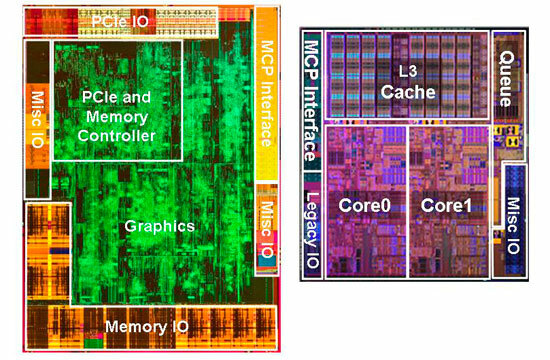 Each core gets a 256KB 10-cycle L2, just like the i5s and i7s. The un-core is clocked at 2.13GHz, down from 2.40GHz in the i5. That should hurt performance a bit compared to our simulated i3 in the launch article. Aside from Turbo the other thing you give up with the i3 is AES acceleration. Westmere's AES New Instructions (AES-NI) are disabled on all of the i3s in typical Intel fashion. There has to be some reason for users to opt for a Core i5 instead. Like the majority of the Core i5 processors, the GPU here runs at 733MHz. The exception being our recently reviewed 661 which runs the GPU at 900MHz for those who want that extra bit of mediocre gaming performance. 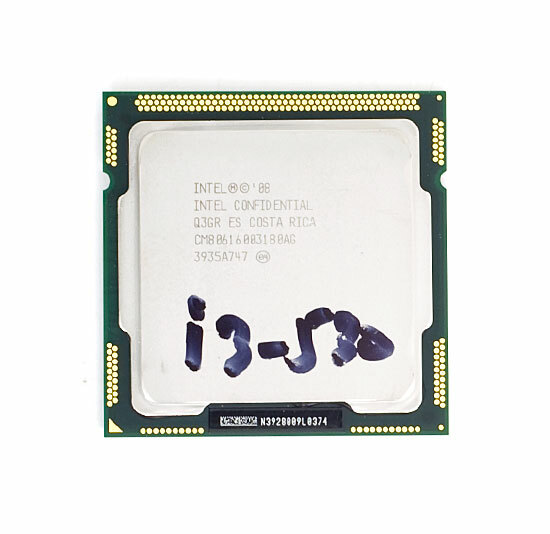 From Intel the closest competitor is the Core 2 Duo E7600, which runs at 3.06GHz but with a 3MB L2 cache. AMD provides the biggest threat with its Athlon II X4 630 and Phenom II X2 550 BE. The latter isn't on AMD's official price list but you can still find it online today for $99. In a market full of good alternatives, whether it’s an ultra-cheap quad-core or a solid dual-core, it’s time to find out if there’s any value in the Core i3 530. There were two outstanding issues in our Clarkdale review that needed fixing after CES. First and foremost was power consumption. We incorrectly assumed that Clarkdale's idle power consumption was worse than Lynnfield due to the 45nm on-package chipset. As many of you pointed out, it was an issue with our ASUS H57 motherboard. After CES we switched over to Gigabyte's GA-HS57M-USB3 and the idle power consumption improved considerably. Since then ASUS appears to have fixed the problem but our data for this review was still run with Gigabyte's board. Unfortunately these sorts of issues aren't rare with any new motherboard/chipset release. 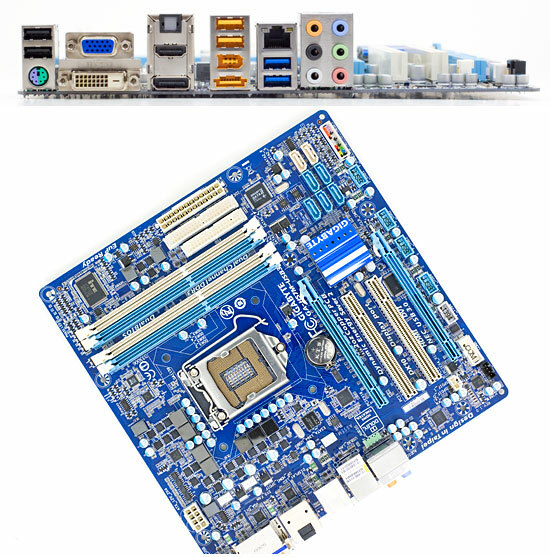 Our ASUS H57 board had idle power issues, while our Gigabyte H57 board had overclocking issues. No one seems to get it right on the first try. While playing H.264 encoded video the GPU does all of the heavy lifting and there's no power advantage for Clarkdale to rest on. When watching a movie the AMD system is indistinguishable from our Clarkdale test bed. We are still running into an issue with MPC-HC and video corruption with DXVA enabled on the 790GX, but haven't been able to fix it yet. Have any of you had issues with video corruption with AMD graphics and the latest stable build of MPC-HC for 64-bit Windows? Or should we chalk it up to being just another day in the AnandTech labs. No you're pretty much right on the money. If you have a good system already, you're always better off waiting until the next big thing. In my eyes Penryn wasn't a very big deal if you already had Conroe. Clarkdale's real advantages are in power consumption and threaded performance. 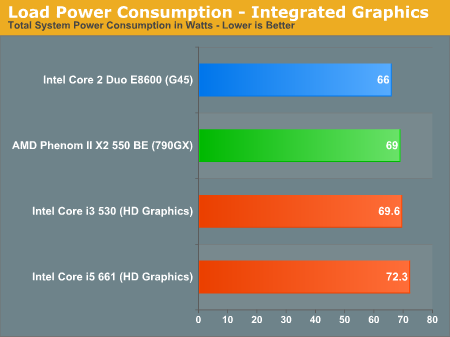 If you already have a quad-core CPU, chances are that you'll want to be looking at Lynnfield/Phenom II X4 or wait for Sandy Bridge if you can. Cool! A reply from the man himself! Thanks, Anand! My leap was from a 2.4GHz Celeron to a PD805 to Penryn, so Penryn seemed like a revelation, highly efficient, easy to cool, fast and quadcore. Now, if you happen to have any loose systems that you're not using and want to send my way so I can experience the Lynnfield difference myself, I won't object. Instead of such fleeting one-liners, how about telling us the title, format, and codec in question so that we can verify it? This is a finest example of yellow journalism. It's a Dark Knight rip we use. Take the original Blu-ray, use AnyDVD HD to strip out the DRM, re-encode to reduce file size and toss into an mkv container. The problem appears on all H.264 content though played through MPC-HC. As far as resolution support goes, Intel lists 2560 x 1600 as the maximum resolution available over Display Port. For DVI/HDMI you're limited to 1920 x 1200. VGA will get you up to 2048 x 1536. There are four independent display ports, so in theory you should be able to run one 2560 x 1600 panel and one 1920 x 1200 (or two 25x16 panels if you had a board with dual DisplayPort outputs). Flawless playback both in Windowed mode as well as full-screen mode, on a 30" LCD. Just to be sure, I tested The Dark Knight trailer which is a VC1 clip, and various H.264 content in .mkv, .mp4, and .m2ts. Using MPC-HC svn 1.3.3347 32-bit AND 64-bit binaries. System had an WHQL driver dated 8/17/2009, installed via Windows Updates. Only codecs installed are Matroksa Splitter and AC3filter. So there. Now, what exactly is the problem that I don't see but you do? Would you feel bad at all if I say I purchased G35/G45 based on your reviews, only to be greatly disappointed? I couldn't even give away a G35 based system to a junior-high kid, because the kid is someone I see on and off and I feared a potential embarrassment and unexpected calls for support. Correct. Despite moving much of the "chipset" on-package, the actual H5x chipsets are no cheaper than their predecessors. Remember that as AMD and Intel integrate more onto the CPU they still want to preserve or increase profit margins. It's just fortunate for all of us that in the process of integration we actually get a performance benefit. Sounds like we are very much in need of competition in the 3rd party chipset market like the good old days!